Building Bridges (2018-2019) research study aims to create a co-produced arts project that reflects how shared experiences of everyday cultural practices (food, memories and identity) can facilitate civic engagement. This project highlights a new innovative approach, which utilizes co-produced arts ethnographic research from a multidisciplinary and multi-perspective approach. Data includes co-produced videos, the cooking videos, reflections, smart-phone videos of the arts-based projects and observations from refugee, immigrant, local children and youth, elderly Finnish, family and community members. 1) Create opportunities of shared experiences through everyday cultural practices (ECP) to build/bridge social cohesion between locals and more marginalized community members, such as migrants and refugees. 2) To co-produce digital apps for disseminating and building social cohesion by using business entrepreneurs to promote local businesses utilizing co-produced art, culture and social media. 1) How do we define, connect, and understand shared experiences of civic engagement? 2) How can arts become modes of civic engagement bridging home and school spaces? 3) How do these artistic materials provide diverse cultural resources for civic engagement in a changing world? 4) How can this co-production process utilizing multiliteracies enable institutional stakeholders to bridge with community stakeholders? The project is executed in several parts with different participants and research settings. The first part of the project, conducted in the spring of 2018, focused on creating a co-produced short film with elementary school pupils and a filmmaker of refugee background. This after-school filmmaking session was the initial of two concurrent activities in the project. It was an afterschool program. Running concurrently was a series of food sharing events, which occurred at the refugee camp in Jyväskylä. In the after-school filmmaking programme, the participants gained and utilized knowledge and skills on narrative design, story construction, character development, collaboration, and using multimodal communication modes. Finland is one of the few countries that has embedded multiliteracies in the curriculum- understanding multimodal communication competency is essential. However, our approach was to view knowledge not about homework or tasks but about interacting with and co-constructing knowledge and communication. Additionally, we wanted to provide a safe space to allow for experimentation. Making of the movie illuminated that collaboration and mediation within diverse groups can be a lifelong learning competence not just momentary meaning making. The final short film included children from elementary school, grades 1,2 and 3. There were boys and girls (15 participants throughout the 3 months) from different linguistic backgrounds. The children were mentored by an Iraqi refugee filmmaker. Furthermore, there were MA students from APPLANG programme assisting in the project, and an in-service special needs and FSL teacher volunteered to facilitate the sessions with the children. Initially they created three different story ideas. However, later due to a lack of time the children negotiated the merging of the three stories. This provided the children with obtaining 21st century competence of meaning making, co-constructing, negotiating across polylingual context and reconceptualizing story production in a multimodal manner. Moreover, children created props, action, dialogue, sound effects, character development, and story creation. The results of this session of the project highlighted that constructive interaction rather than solely social interaction has shown to better facilitate building bridges between communities. Additionally, it revealed that the process of working together and sharing ideas created something new. This occurred through drawing from but distinctively different from the everyday practices the participants come from. Finally, these videos provided a better understanding of how students apply knowledge & competencies - not just learnt s skill .They also highlight that student-centered approach is essential for 21st century meaning making. In the fall of 2018, during the second part of the project, the focus moved on to secondary school students creating rap performances together with both Finnish and Iranian rap artists. The participants were from two Jyväskylä secondary schools, and the session was organized as an after-school programme. 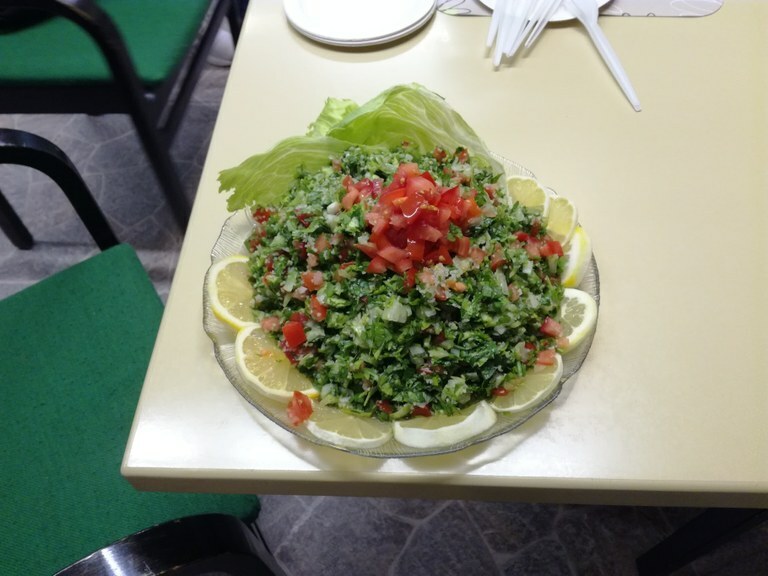 Meanwhile, a Middle-Eastern cooking class organized in one of the Jyväskylä community centers resulted in short films about refugees’ memories about food and home. 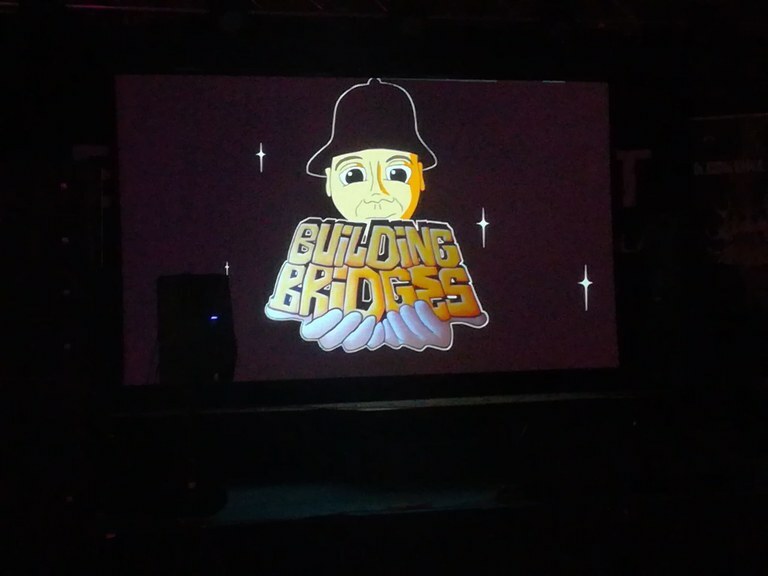 The whole second part of the project culminated in the Community Rap Event held in Jyväskylä Veturitallit http://veturitallit.jyvaskyla.fi/ on the 12th of December 2018. The event brought together the rap performances created in the Jyväskylä secondary schools and the food stories. Moreover, other forms of art, such as graffiti and spoken word poetry, was presented at the event. The final event was very well received by the event participants; the youth, their parents and other Jyväskylä locals as well as people of immigrant or refugee background. More information about session two of the project can be found from the links in the end of this page. From January 2019 onwards, the project will collaborate with kindergarten pupils and retirement home residents. In other words, the latest part of the project aims to create multimodal stories in co-production with smaller children and elderly people. These stories reflecting the bridging betwwn generations are hopefully presented during the spring of 2019.